A brand new 'auto-fit' capability that enables you to create flexible documents that adapt to almost any size change you or your customer might want. It's a great time saver! 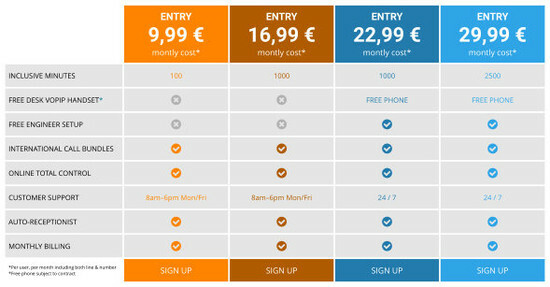 For example you can now easily change a design from A3 to A4, or A4 to US Letter. It's especially useful for social media, where you can adapt a design from (for example) Facebook into Twitter, LinkedIn and Instagram by simply changing page types. The defualt position is for all items on a page to be automatically re-positioned when you change the page size, but Designer actually offers a great deal of flexibility if you want to control exactly how particular items in your design behave. We've added a completely new category of 'Single Page Websites' - simple but effective single page web stories that are great for landing pages or simple, focussed sites. View previews of a selection of the themes and other templates in the Online Content Catalog. A wonderfully quick and easy way to apply popular effects to your photos. 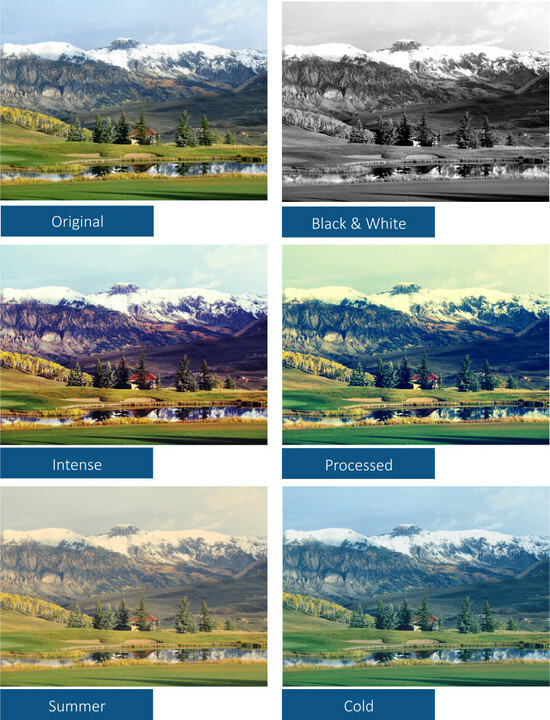 You’ll find more than 100 ready-made effects in the Online Content Catalog (image resources > photo filter pre-sets). Simply select your photo and hit Import! What’s more you can continue to edit the effects using the Enhance tool or Brightness Levels dialog, and if you replace the photo the effects are retained. See some examples. The effects also include Photo Filter Overlays, which can be applied on top of existing filter pre-sets, such as pattern, texture and transparency Overlays. Filters can now be applied & removed with a handy right click menu option. A new hyphenation option automatically breaks long words at line ends to give a more flowing appearance to your text and fit more words into limited space. 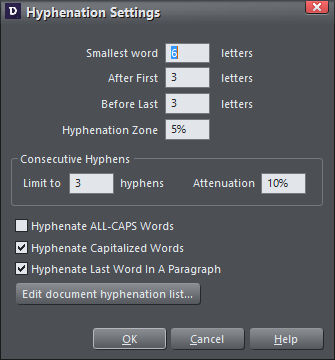 The hyphenation dialog offers full control. Tables have topped the list of feature requests for some time, and in v15 we've taken the first important steps with our first Table SmartShapes. V15 tables support basic table insertion and editing, including adding & removing columns, resizing rows & columns, various table formatting options and auto formatting of the table to fit contents. You'll find the new tables in the Online Content Catalog under Components > Print & Web Components > Tables. You can now place text inside shapes so that it flows within the shape's outline - a great new feature that'll enable you to create some interesting and eye catching designs. The Online Content Catalog incudes some new text panels that make use of this new feature (See Components > Print & Web Components > Text Panels). Photo Grids were introduced in v12 and they're a cool way to display your photos. Not surprisingly they've proved popular, so we've enhanced them in v15 by making the (formerly static) Photo Grids easily resizeable. 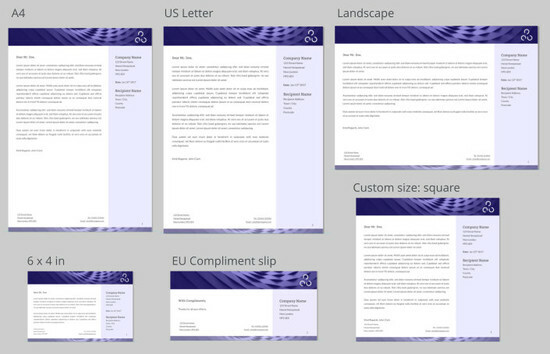 The defaults are set to common sizes such as 19:9, but once you've added them to your document you can easily change the width and height to make them any size and aspect ratio you like. 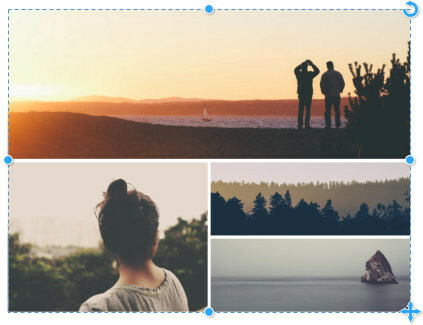 You can find the Photo Grids in Components > Image Resources > Photo Grids.